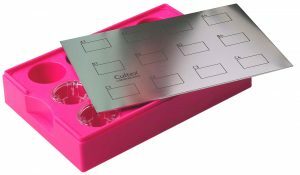 Processing Plates faciliate the histopathological processing of cells cultivated or exposed on Falcon® and Transwell® inserts. 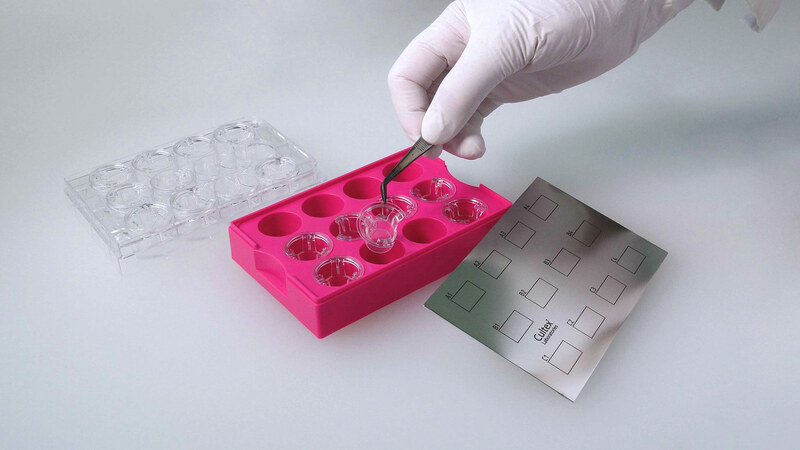 Usually these plates are used for fi xation and dehydration of biological material, in this case cell cultures. The CULTEX® Processing Plate consists of solvent-resistant plastic material and is distinguished by practical details. 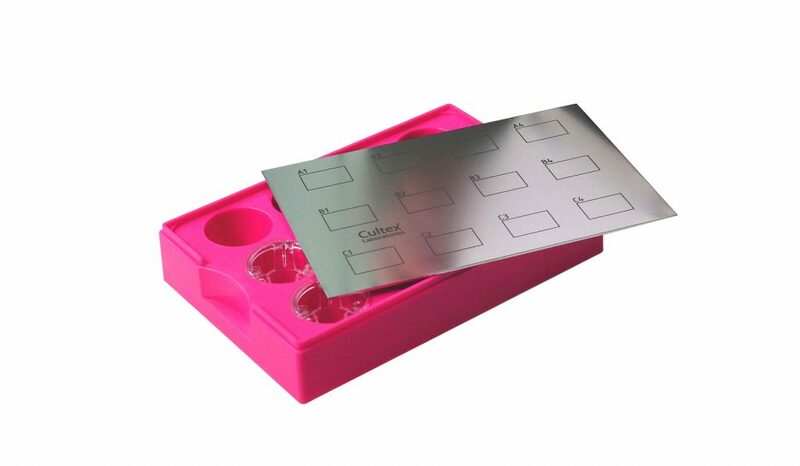 The plate houses, for example, 12 positions for inserts with a growth area of 1 cm², which can be fi lled with diff erent solvents during histological preparation. The plate can be covered by a metal top plate, off ering the possibility to label the diff erent positions of the inserts.